After initial setup of the Raspberry Pi, it's time for an internet connection. While using Internet over Ethernet is just plug-n-play business on Raspberry Pi, setting-up an Wireless connection takes a little more effort. To get started with WiFi, first we need to connect an supported USB WiFi dongle to the Pi. 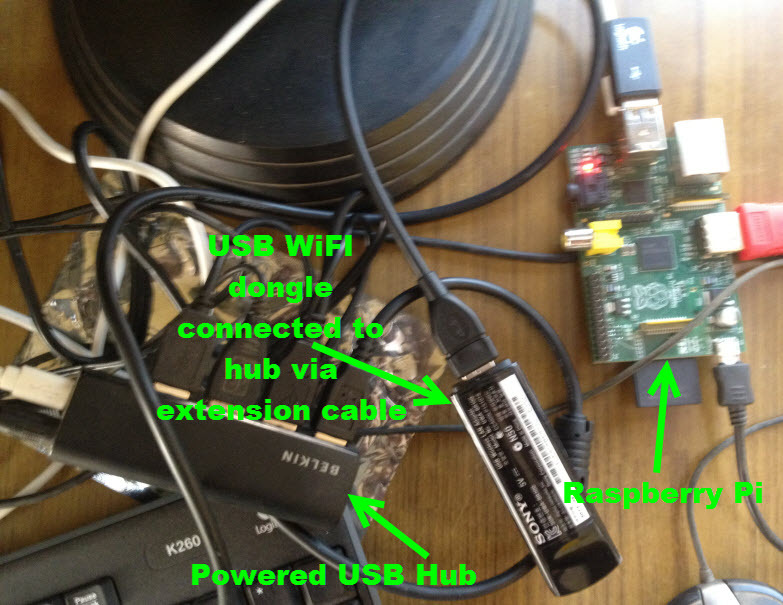 Make sure you are using an Powered USB Hub (shown in the picture below) as Raspberry Pi is not able to reliable power multiple USB devices, follow the instructions next to configure your WiFi dongle on the Pi. I used my Sony Bravia USB WiFi dongle UWA-BR100 and it got connected within minutes after configuring as below. First update your wheezy-raspbian installation to the latest version by using the following command in terminal. 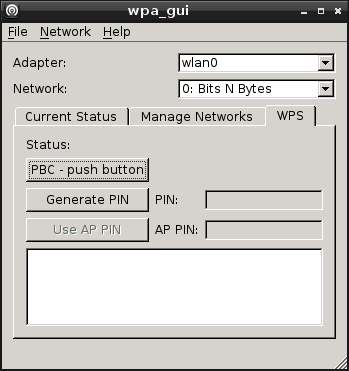 Once updated, use the following command to install graphical WiFi connection manager wpa_gui. /etc/network/interfaces and append the following to it. From now on you can use this nifty graphical WiFi connection manager on Raspberry Pi to configure your WiFi access point settings as shown below. How the hell do I sudo apt-get update/install without the freaking internet in the first place? Useless tutorial. The tutorial is not useless, you are supposed to have your RPi connected to a Ethernet connection to get it configured for WiFi. No, he's not. But clearly you are. Thinking that the RaspberryPi might be a little too advanced for you. This post describes a simple way (which can surely be improved) to get a Raspi to start up with a wifi connection the first time you put in an sd card without manual entries. Eg suitable approach to distribute devices to civilians. Have done the first part of this tutorial - without any errors anywhere in the process. 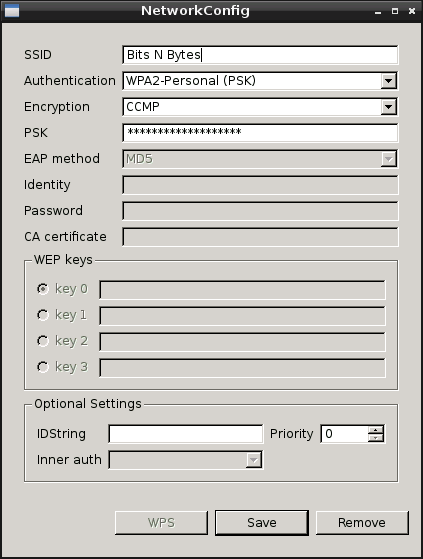 When I run wpa_gui there are no adaptors in the dropdown so there is nothing to configure. 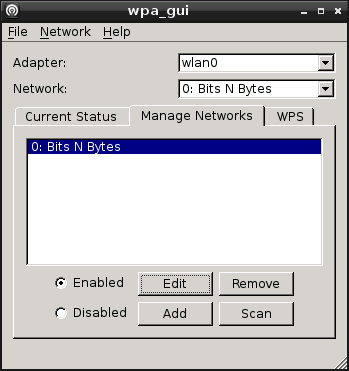 Gui says: "Could not get status from wpa_supplicant". What now? I've looked at other "How to's" but none has fixed my problem. Fresh OS image downloaded and set up. This means your WiFi is not getting detected by the OS, try using a powered USB Hub and manually installing drivers for your wifi. I have the same problem as the user to whom you replied. However, I am typing this entry onto your web page being attached to the network over a USB adapter configured as wlan0. So, methinks the OS is indeed aware of the adapter...make sense? Any other suggestions as to what may be causing the problem? 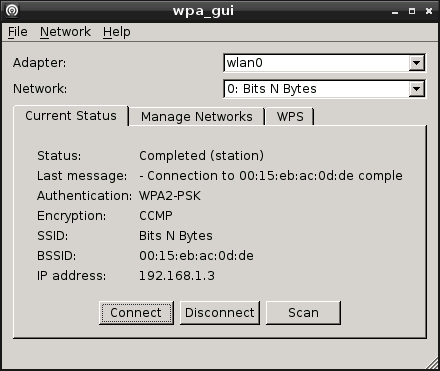 This seems WPA_supplicant is not able to see your wlan0, you should look into it's configuration. There are many many instructions over the net and only this worked for me. I think i am getting into an issue because i have wep instead of wpa or wpa2, any tips? When i want to changes somthing in the /etc/network/interfaces i become a " no permission". What can i do? Execute the command from 'root' account or use 'sudo'. we need to do a wired to wireless install, make sure you set up by your router or have a very long cat 5 cable!! 1) note choose a setup location near your router or have a very long cat5 cable. 2) during rasberrypi setup plug in all devices, including cat5 cable, we are doing a wired to wireless install to get internet. 3) follow above directions completely- great!! i did notice after reboot I had to open wifi configuration and "connect" before the wifi showed up again. not sure if this menu tool " happened after the above fix" or was present initially, it's worth a try first .......much easier, feedback appreciated.